Use in your class discussions, Socratic Seminars, Lit Circles, Harkness* style discussions, Spider Web Discussions, AP Seminar classes, & anytime students/colleagues collaborate. How equitable is the participation in your group or class? Is someone with many ideas a little too quiet? Is the teacher doing most of the talking? Choose from among fourteen templates! 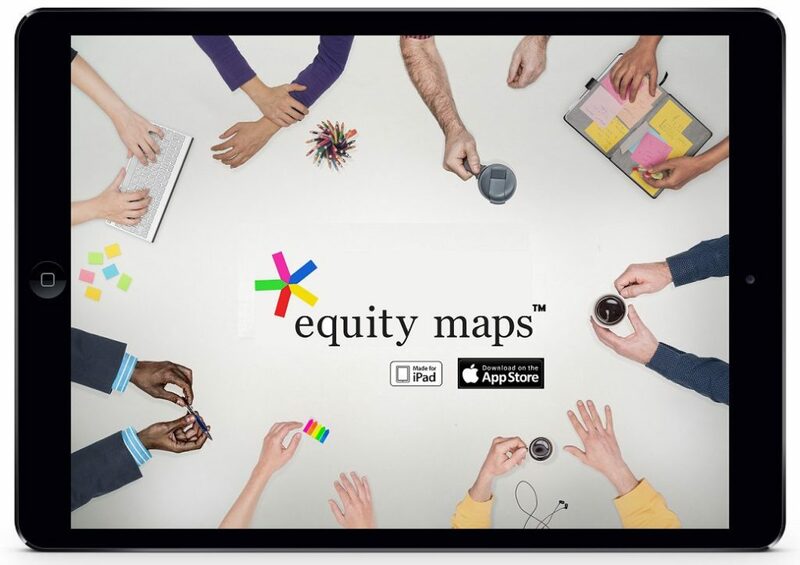 Equity Maps iPad app-- designed with educators & facilitators in mind! Chart & record the interaction of students or colleagues to graphically illustrate levels of participation and types of contributions made by each student or participant. 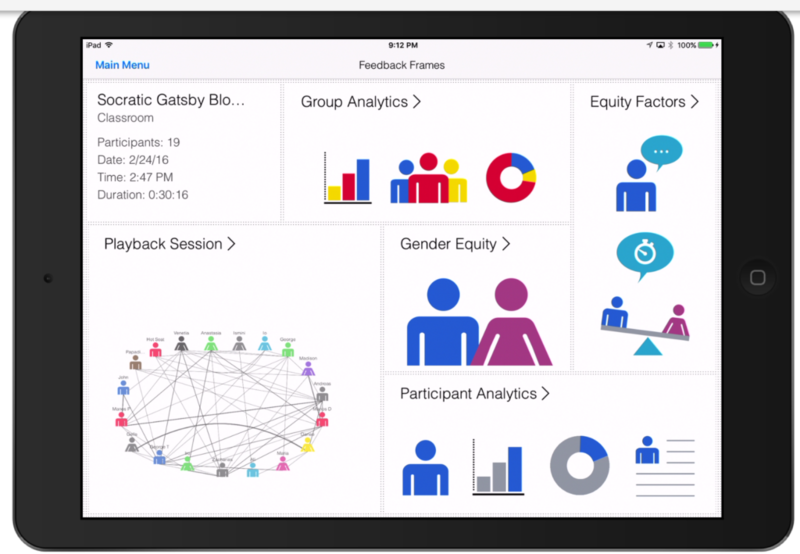 The instant analytics & animated playback at multiple speeds will engage participants in deeper reflection! Provide faster and more effective feedback for your students! 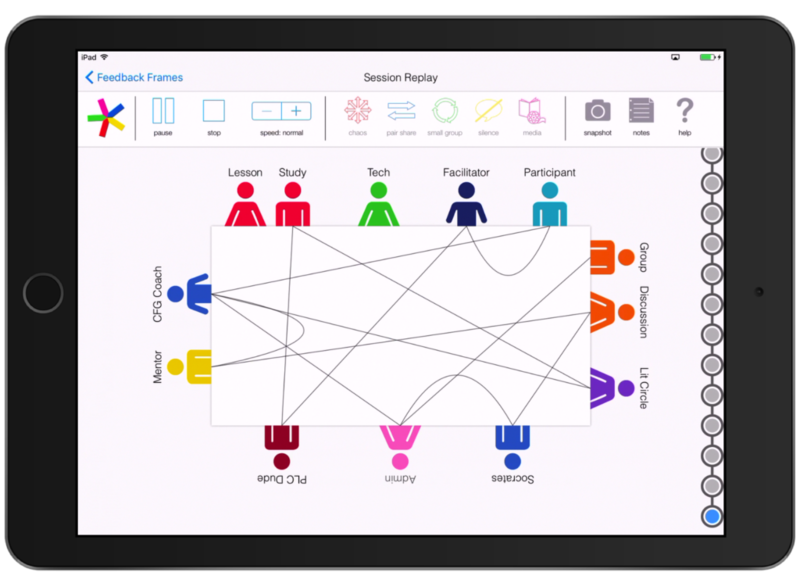 Effortlessly trace and assess your students’ interaction, performance, and involvement with Equity Maps iPad app: class discussions, Socratic Seminars or anytime students collaborate to solve problems. Encourage equitable dialogue, promote wider collaboration, engage students, and nurture reflection of teachers and students alike. Classroom discussions, meeting debriefings, and post-observations will never be the same again! Let the group members, students or teachers see for themselves! As one teacher commented, "It's like putting the class members or meeting participants in a mirror and asking them what they think about what they see!" — Assess classroom engagement or individual student participation. • Collaborative groups and committees. — Provide teachers an “image” of their classroom instruction like they’ve never seen before! 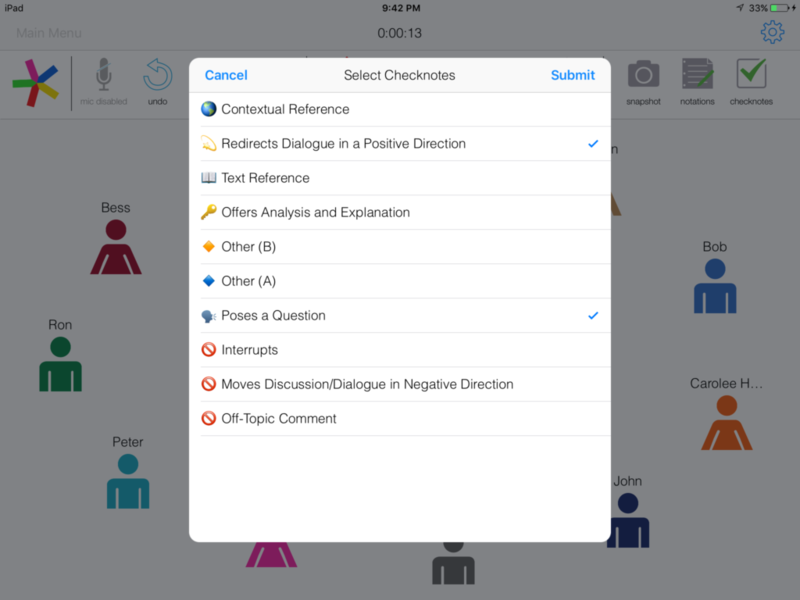 — Gather data for more effective classroom post-observation meetings. • Choose from among 14 CheckNote templates including Socratic Seminars, Common Core Speaking and Listening, Text based discussions, Spider Web Discussions, and many more! At Equity Maps we believe that true collaboration is possible only when diverse groups of people come together in dialogue to inquire, create, problem solve, and innovate! Show your students/colleagues rather than tell them! 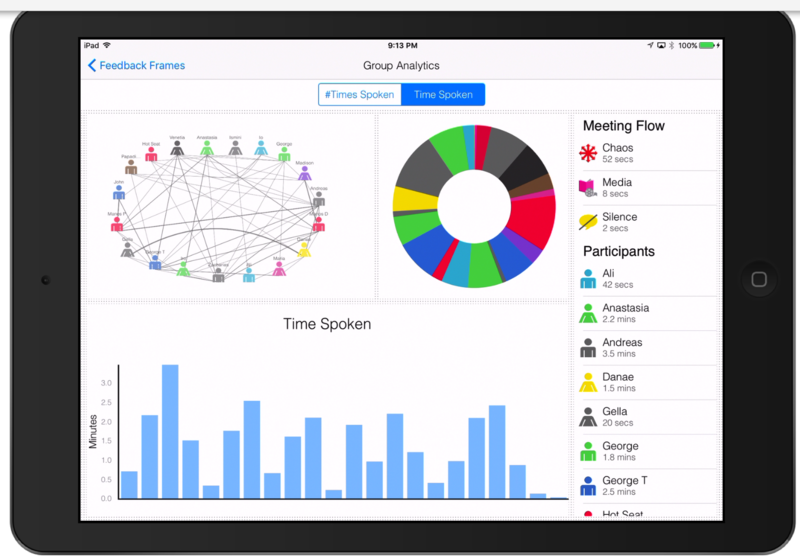 Boost collaboration in your group or classroom!